I know this is a blog mainly about weight loss, but I couldn't help but pay tribute to our beloved prophet. I thought this would be a neat way for all of us as a family to pay tribute to him. What a wonderful disciple of the Lord he was. 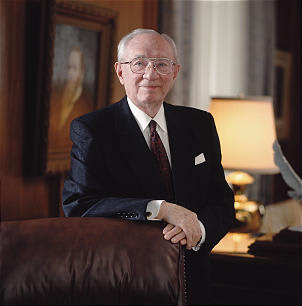 For a man who has dedicated his life to the church we dedicate these comments and thoughts to him- As a Family! Pick the score of the Super Bowl game between the New York Giants and the New England Patriots. Must pick winning team to win. Person with the closest score wins. Post score under this blog entry. GOOD LUCK! 1. 5 out of 7 days - no food after 7:30 p.m - You can have fruits or vegies after 7:30 if you get hungry. 2 Do 50 of one of the following each day. If you miss a day you can make it up the next day by doing 100. (50 sit ups, 50 push ups, 50 crunches). For those of you that are Pregnant or have other body limitations you may do 50 of something of your choice. You do not need to do all 50 at a time. For those of you who want to give 110 ten percent I would encourage to do 50 push ups and 50 sit ups each day. 3. 5 fruits or veggies for 5 out of 7 days. 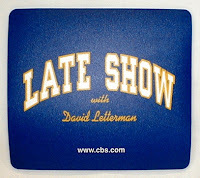 I am going to try to make a Letterman top 10 list regarding our vacation to Mexico. Will each of you post something to the blog regrading 1 - Most memorable event or activity of the trip 2- Event or activity that was most humerous. You can include more than 1 thing for each category if you have more than 1. Each person will get an extra point in the competition if they come up with one or more top ten suggestions. I know that you are all going to be excited about not drinking so much water next week, but I encourage all of you to continue to try and drink as much as you can. I think drinking water helps reduce the hunger, helps cleanse the body and helps reduce the intake of other fluids that are not good for you (coke etc). Also continuing with some kind of exercise would be beneficial. 1. Eat 5 serving of fruits and/or vegetables 5 out of 7 days. Try to do 7 days but I know it is hard for those that travel to get 7 days. A serving is considered to be about the size of your fist. For some of you McDonald's french fries does not count as a vegetable, in fact potatoes do not count. 2. No sugar - No sugar means (Cookies, Candy, Cake, Chocolate, Donuts, pop tarts,Sugar cereal etc) I think you know what I mean. . No sugar also means sugar drinks. You can drink diet drinks. I know that most foods contain some sugar, but I think you all know what I mean. Also, you will want to keep doing last weeks goals of no fast food and stretching. Some of you have asked for clarification of fast foods. If you go to Wendy's and get a salad or something similar that does not count as fast food. But it does include more than just burgers and fries. Next week you can substitute the 3 hours of exercise for the 15 minutes of daily stretching. Just think how much better you would feel if you try to do all of the 6 goals that we have had next week? Remember to e-mail your results on Sunday or Monday. Weight loss totals are only twice a month. Will everyone please respond to this posting and give me an example of two things that you have or haven't done since we got home from Mexico or since we started the contest on Jan 7th, and it can not include any of our goals. For example, I have not had any soft drinks since Jan 2nd and I have not eaten any white bread. All right Family here it is- The Ixtapa, Mexico slide show. A big thanks to Ranae and Susan for helping me out with more pictures. I hope there aren't any duplicates, if there are just ignore them. After a while a few of these pictures started looking the same. If any of you have pictures you want to add, please send them my way and we'll get them posted. Ranae and I made sure we had one of each family member ( at least I hope I counted right). The slide show takes a little bit, so sit back, grab a water bottle of course, and enjoy! I'm not one for Fiber. My intake is minimal and it's usually only if I have a banana in the house. I have heard good things about these bars so I decided to give them a try. 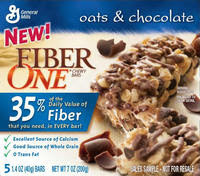 Don't let the word Fiber scare you off, these are really good. Make sure you only have one a day though, even the box discourages against multiple intakes....."Gradually increase fiber over time to help minimize potential GI discomfort." Enough said! Give them a try-see what you think! I hope you are all enjoying going to the bathroom. I feel better after about 10 days of water consumption and no diet coke. Ranae tells me that it is easy for me because of my big bladder. My bladder needs to be twice the size since I drink twice as much water as most of you. 2. Stretch for 15 minutes a day. Remember that you get one point for continuing with the prior week goals. However,the 5 hour exercise goal is going to be changed to 3 hours for week two. I encourage everyone to do the 5 hours, but with 15 minutes of stretching, the goal will be changed to 3 hours for the week. The water consumption goal of 1/2 body weight in ounces will continue for the next week. Please e-mail the first of next week how you did the first week so we can post the results. Those of you trying to lose weight give me your weight loss amount. Hey everyone just thought i'd tell you about this website I found. It's called http://www.fitday.com/. Its free to join and what it does is great!! You are able to enter in what you ate for the day along with the amount of exercise you are doing and it will calculate your calorie intake and output. You can look up the nutritional facts on almost any food you want. If you enter in what you ate for the day it will also tell you where most of your calories are coming from, fats, protiens, or carbs. It does a lot of other fun stuff to help you loose weight or to just eat healthier. 1. Cut sugar out of your diet. 2. Reduce size of portions. 4. Never let yourself go hungry, it slows down your metabolism. 5. Do not eat after 8:00pm and only eat proteins and vegetables after 7:00pm. 6. Drink a minimum of 64oz. of water daily. 7. At least 30 minutes of exercise daily. Remember weight loss is created in the kitchen, not the gym! I'm glad I found this out! We must get the word out. I drank my quota of water today and went to the gym for an hour. Actually easier than I thought. I drank most of my water in a.m. I was going to the bathroom frequently. I think drinking a lot of water helps curb your appetite, because I was not hungry today and actually did very well on diet. OK – So here is the skinny(pun intended) on the 2008 Healthy Living goals/contest. The intent is for each of us to try to make 2008 a year that we can look back on and say that we made an improvement with our general health. For some of us that means losing weight and improving our general health. For some it means improving health while for a few of you who do not need to lose weight, improve eating and exercising it means to be part of the contest so you can help those of us who are trying to make changes in our lives. For those of you who want to lose weight, weigh in sometime in the next few days. On the 15th and the end of each month if you will e-mail me the amount of weight you have lost during the 15-16 day period and your accumulated weight loss. You do not need to disclose your weight only the weight loss. Those of you who are pregnant can weigh in a week after you have your baby and we can include the weight loss in our grand total. Remember, this is not a weight loss contest, however, hopefully, losing weight can be a by product. The contest will begin on Monday Jan 7th. On the Saturday before each Monday I will send out the two goals for the week. Each person who achieves the goals for the week will receive two points for each goal. If a person is able to accomplish the same goal for a second week they will receive 1 point for each goal for the second week. Beginning the second week each person can receive 6 points for reaching the goals(4 for the current week and 2 for the previous week). Some of the goals may be hard for nursing mothers or those of you who are pregnant. If you do not think you can do the goals, send me an e-mail with some substitute goals and we will use your goals instead. If any of you have ideas of some goals, please send me your ideas. We want this to last for the entire year, so we need some ideas from each of you. Some of the goals may be the same as previous weeks. Nicole and Kelsey have set up a blog. The address is (peckloser.blogspot.com) In the future we will have the goals and results on the blog. I may need to Have Nicole help me with this because this blog stuff is new to me. I have gone to the blog and it will be fun for us to post our comments and post other interesting bits of information. Mike, Ginger and Andy may be confused as to what we are trying to do. You can call me or talk to someone else about our contest.(801-870-7330). If any of the older kids want to get involved they are welcome. I think everyone over 18 wants to "DO IT"
This contest is not a requirement to be accepted into full fellowship into the Peck family, so if you think this is stupid or if your current habits do not need to be changed then you can watch by the sidelines as the rest of us get buns of steel, 8 packs, calf muscles, lose our thunder thighs, and for some of us walk up the stairs without getting winded, and more importantly have our lives extended to enjoy more trips to Mexico. Too bad we are not going to Mexico next year so we could show off our new bodies. Will each of you send me an e-mail in response to the instructions so I can make sure that I got the right e-mail address for each of you. As far as commenting and posting, you should be able to walk yourself right through it. Just click on the comment button and reply. If you're not a Google account holder you may have to sign in, but it's free of charge. This is a great way to stay in touch. If you have any questions email Kelsey or I (Nicole) and we'll be happy to help. If any of you have your own family blogspot let me know and I'll add it to the side bar. A BIG THANKS TO GRANDMA AND PAPA! Grandma and Papa, Thank you so much for a wonderful time and great memories! Welcome everyone to the blogspot. Are you all ready for 2008. I think it will be fun for all of us and hopefully it will make a difference. Welcome everyone, please come onto the website and make your comments.